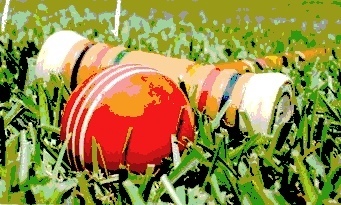 9-wicket croquet is one of many forms of croquet played today. In all versions of croquet, play is made by striking a ball with a mallet, and the object of the game is to score points by sending balls through a course of obstacles called hoops or wickets. 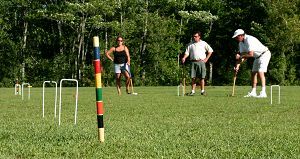 9-wicket croquet is a perennial favorite outdoor pastime, played in countless backyards and public parks across the US. The 9-wicket court layout is one of the earliest croquet court layouts, dating to the early years of the game, in the mid-1800s. Now, as then, 9-wicket croquet is played according to many local rules variations. For more information see the rules, the rules FAQ list, and other articles in The Game section. To learn about other forms of croquet visit the United States Croquet Association’s main website.